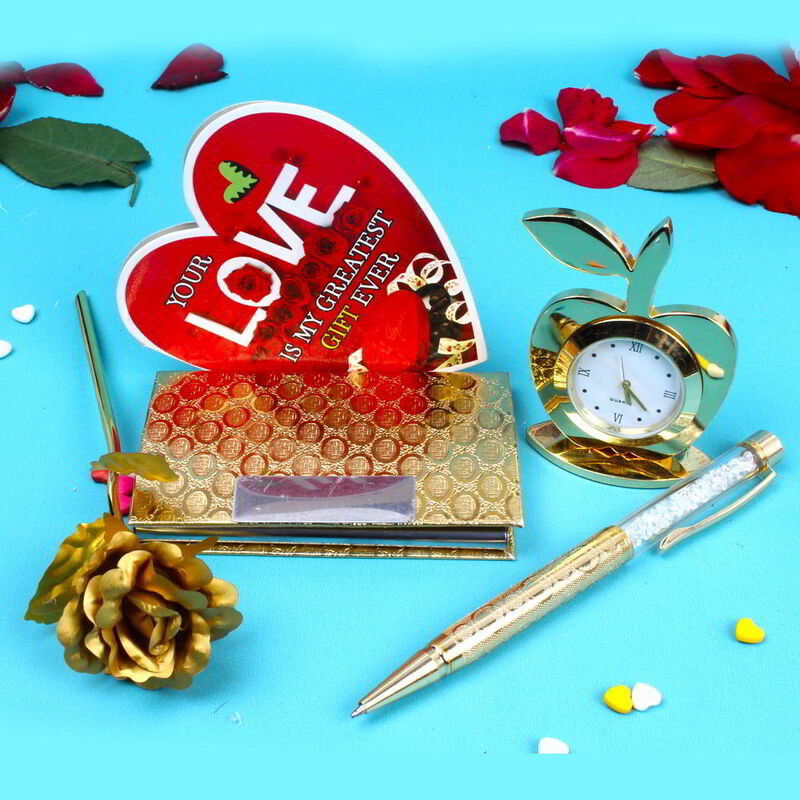 Product Consist : Golden Plated Gift Set included Card Holder, Crystal Pen and Table Clock, 6 inch Gold Plated Rose along with Love Greeting Card. 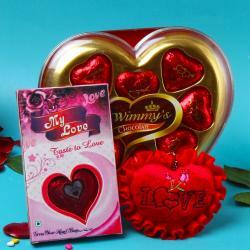 If you are looking for some exotic and unique gifts for Valentines Day then you are at right site. 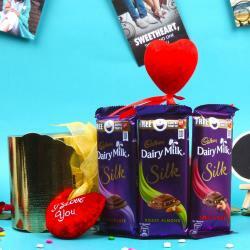 Here we have present Exclusive gift hamper for Valentines Day gifting. 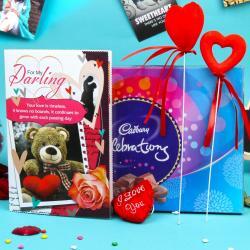 This combo comprised with very exotic golden plate stationary set which is not only beautiful but very useful. This golden plate set includes Card Holder, Crystal Pen and Apple Shape Table Clock. Rose is called as king of flower and symbol of Love, here we presenting a gold plated rose to represent your everlasting love towards of your love partner. This hamper also includes one love greeting card which consist romantic message in it and it will definitely express your deep heart love. Product Includes : Golden Plated Gift Set included Card Holder, Crystal Pen and Table Clock, 6 inch Gold Plated Rose along with Love Greeting Card.